Gift ideas that will make them shout O-M-G! Logitech Harmony Elite is the most powerful and easy-to-use Harmony remote, replacing up to 15 remotes for seamless control of home entertainment and smart devices. The remote features a color touchscreen and motion sensing, backlit buttons and button layout, making it easy to find the right button, even in the dark. There’s a set of dedicated smart home buttons, a rechargeable battery, and you can control popular smart home devices like lights, locks, and thermostats, and more. 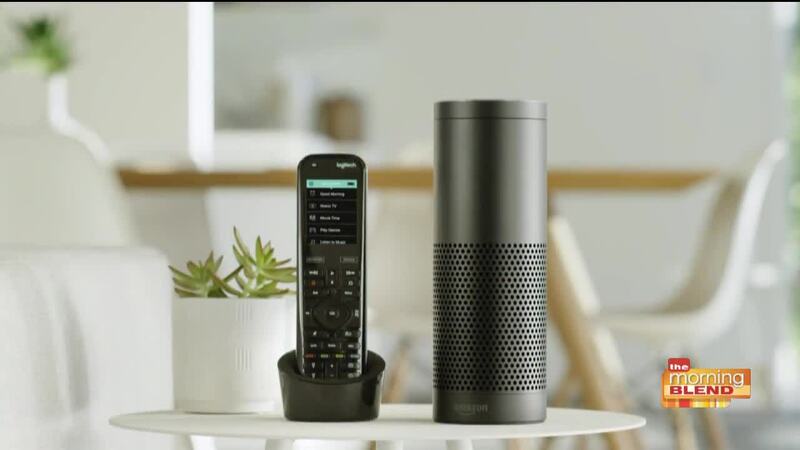 Harmony Elite also works with Amazon Alexa or Google Assistant (sold separately), so you can enjoy easy, hands-free control of the entertainment you love. Turn on your TV, change channels or turn up the volume, fire up a playlist, or set the mood for movie night – your voice makes it all work, just like magic. Logitech Circle 2 is the weatherproof, indoor/outdoor home security camera for keeping your home safe this holiday. It comes in a Wired or Wire-Free version. Use the accompanying app to monitor your home and receive alerts and notifications. Circle 2 can also be used with mounts and accessories to be placed in or around your home and works with Apple HomeKit, Amazon Alexa and the Google Assistant! All mounts and accessories vary from $19.99 to $49.99 while the cameras start at $179.99. Earlier this month, LG partnered with FaZe Clan, the most popular esports team in the world, to debut LG’s new UltraGear™ 21:9 gaming monitor , the company’s most powerful gaming display ever. The flagship UltraGear monitor is designed for immersive, high-performance gaming thanks to its curved, virtually borderless 34-inch Nano IPS display. With NVIDIA G-Sync™ graphic processing technology built-in, the UltraGear 34GK950G is designed to provide smooth motion graphics without tearing or stuttering. What’s more, gamers also can create their own unique ambiance with Sphere Lighting that boasts six color settings to complement any game or movie. The 34GK950G is available online and at authorized retailers including B&H, Amazon, Beach Camera and Adorama.